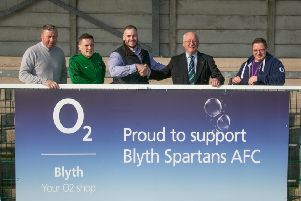 In the Standard Security Blyth and Wansbeck Sunday League JD Marnock Cup semi-finals, High Street and AE Phoenix Central advanced to the final on May 10. High Street saw off Blyth Last Orders 3-0 with Chris Laidlaw (2) and Anthony Goldie the goalscorers. AE Phoenix Central won 1-0 at Guide Post SC thanks to a Kevin Chapman strike. In the premier division, Ashington Excelsior completed their season losing 6-0 at home to Burradon and New Fordley, who had Cameron Patrick (3), Kieron Pyle, Andrew Keenen and Josh Miller on target. Broomhill North End Trap had to fight all the way at home against Forest Hall with a goal from Reece Wright the only thing separating the sides. In division one the form book went out the window. Ashington Northern were held at home by FC Beacon in a 4-4 draw. Jamie Graham (2), Kyle Downey and Daniel Costello scored for Norther, but Beacon took a point with strikes from Nigel Morris (2), Olufemi Obaifemi and Dan Atherton. Ashington Conchie lost 3-1 at home to Newsham Victory with Jordan Hancock scoring the home consolation. Keeper Richard Blackburn also saved a first half penalty. But on target for the Vic were Daniel James (2) and David Lillico. Red Lion Bedlington just overcame Marden Residents 4-3. Goals for Residents came from Michael Wedderburn, Marc Hunter and Phil McFarlane. On target for Red Lion were Luke Mullen, Reece Farrell, Callum Hermiston and Daniel Clark.